This busy bag cost nothing and took less than 5 minutes to put together. The aim is to scoop ice cream into a cone and pretend to eat it. The cones were made from rolled up half circle of paper. 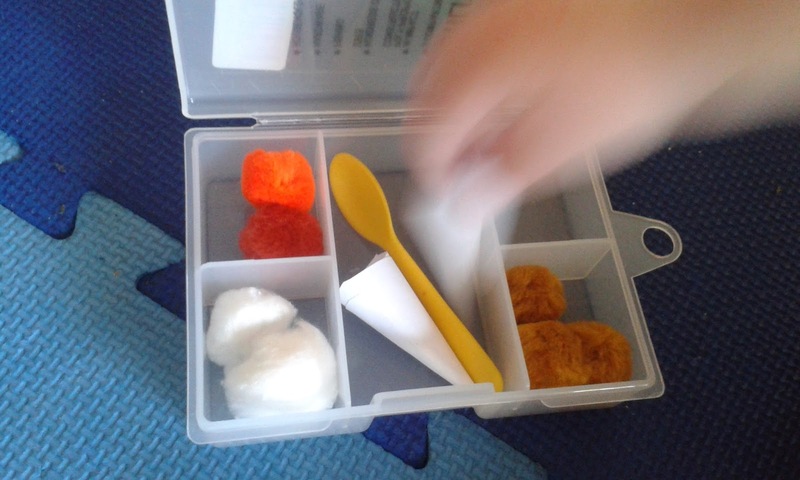 The pompoms, spoon and box were all lying around the house.